There isn’t actually any mystery about the phenomenon of birtherism, the denial that Barack Obama is a US citizen and has a right to vote and hold office, or why obnoxious billionaire Donald Trump is resorting to it in his farce of a presidential bid. Birthers are concentrated in former slaver, former Jim Crow states, which were forced to stop legal discrimination against African-Americans by the intervention of the Federal government from the 1960s, but many of whom retain a commitment to race and caste hierarchies as a way of ordering their societies. So 11 percent of Americans are Obama-hating conspiracy theorists. 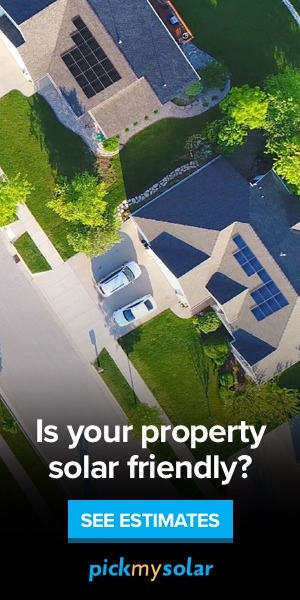 How do they break down? 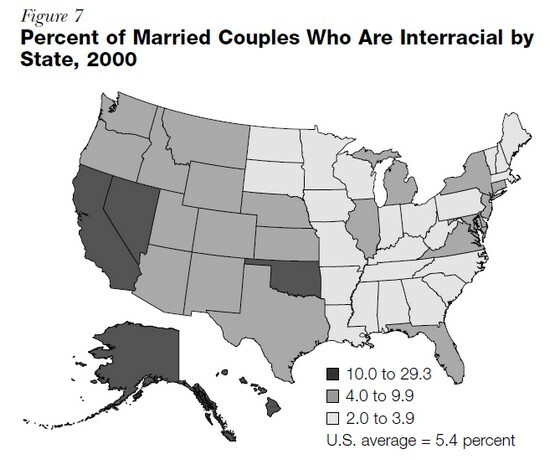 Interracial marriage in Minnesota and Vermont is also rare. But 1/3 of South Carolinians are African-American, and in 2000, only 3.5% of Minnesotans were. That is, to see the full extent of caste as it operates in the American South, super-impose these two maps on one another. My guess is that interracial marriage in Texas and Florida is between people of northern European heritage and those of Latino heritage, not with African-Americans in the main; Virginia is skewed by Northern Virginia, which is like the Northeast. African-Americans marrying whites accounts for 11% of interracial marriages nation-wide, but the South clearly lags here. Low rates of interracial marriage despite high rates of racial diversity map on to prejudice and concerns about racial status. And it is precisely the intersection of these two things that predicts where birthers will be found disproportionately. Trump has gone on now to question Barack Obama’s intellectual credentials, which is sort of like Woody Allen questioning whether Arnold Schwarzenegger is actually physically powerful. He now wants undergraduate grade transcripts. Late night talk show host David Letterman called this tactic what it is, racism. Questioning whether an African-American can vote and hold office based on his academic accomplishments is again a way of pandering to residual Jim Crow sentiments. ‘F. Section 34-111 (44) Race to be noted in book. For the purpose of more easily identifying Voters, the officers in charge of the Voters’ book shall note therein, in connection with each signa- ture, the race of the person signing- that is to say, whether white or colored? Trump is following the Karl Rove handbook, wherein you don’t smear your opponent where he is weak, you demean him where he is strong. Obama is the most cerebral president since Woodrow Wilson, so Trump-Rove (TRove?) decries him as an undeserving affirmative action baby. But where it gets really ugly is that Trump is playing to Old South conceptions of racial discrimination in voting and office-holding.